HappyTapp allows golfers, sports fans, and resort patrons to use their Smartphone to access a portable menu and place an order for immediate service and delivery without interrupting the current activity. To make this happen, HappyTapp uses individually encoded two dimensional barcodes (aka QR Codes) to determine the venue and location of the order. Bar codes are fixed to golf carts, stadium seats and resort cabana chairs and umbrellas so an order is delivered precisely to its intended location. Customers access the menu through a free application from iTunes or the Google PlayStore. Scan one of our HappyTapp QR codes to bring up the menu of the venue you're at. Choose from a variety of delicious items offered at your venue and submit your order. Easily pay using your credit card or just pay the attendant when they arrive. Where has HappyTapp been my entire life? No more waiting for the beergirl...FINALLY! Why hasn't someone done this before? HappyTapp is so easy to use. I don't have to leave my seat to get a beer now. Download the HappyTapp app to your mobile device today! Know instantly what is selling where; change pricing on the fly to maximize profits. Customize your menu base on location; time of day. Your menu is fully customizable through our platform and offers a plethora of other easy to use features to help manage HappyTapp. Customers want when they want it - use HappyTapp to deliver. End the frustration of waiting for the beverage cart or the waiter to take your order. Market to your customers once they've visited your venue. 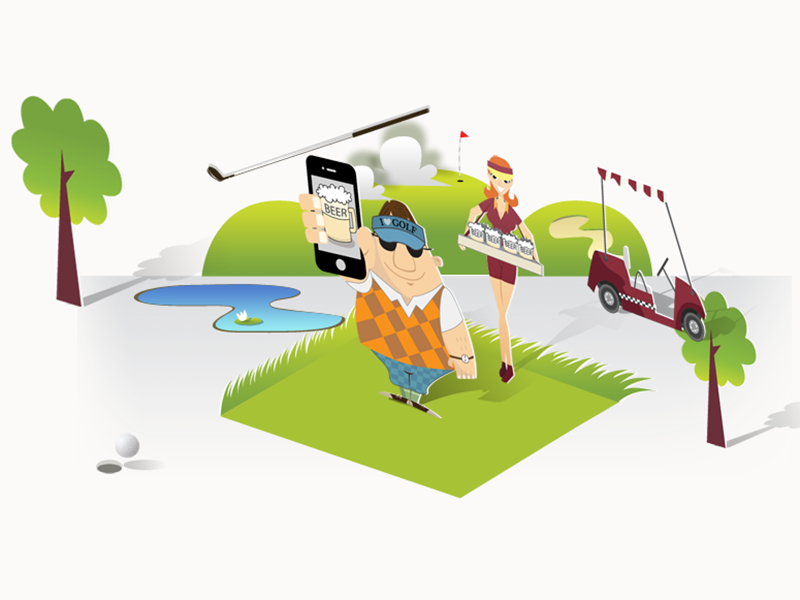 Customize and deliver special offers as they play a round of golf or as they leave the ball game. The possibilities are endless with HappyTapp. Whether you're a golf course, stadium, arena, or resort, HappyTapp works on all types of venues. Our technology makes it easy for any venue to implement and offer HappyTapp to their customers. Once your customers start using HappyTapp you'll wonder why you didn't have it sooner. HappyTapp calculates the meeting time and place using a proprietary algorithm that tracks order placement location and the beverage cart so that the attendant knows exactly where to make the delivery. Players use their smart phone to scan a barcode that leads to the course menu. Add more FUN to every round of golf with HappyTapp! Avoid long lines at the game! 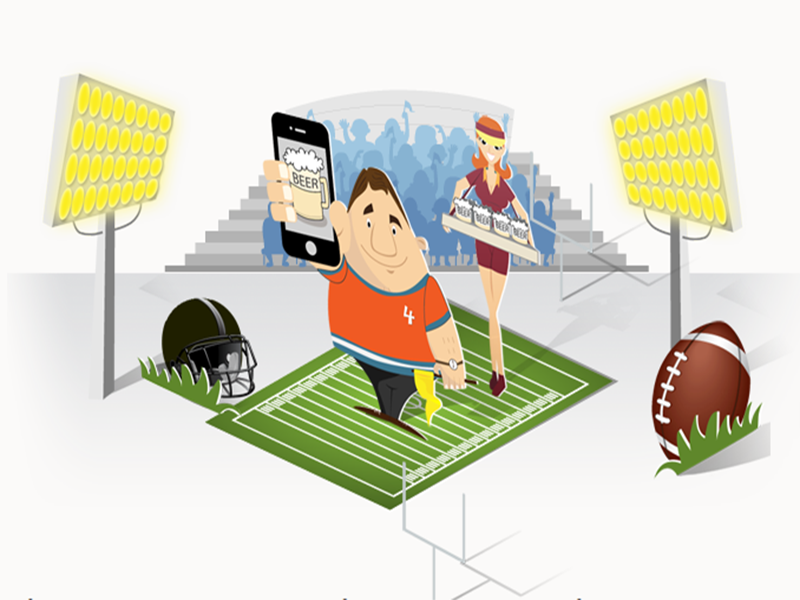 HappyTapp allows stadium fans to order directly from their seat so they don't have to get up and miss the game! Relax by the pool and order right from your chair! 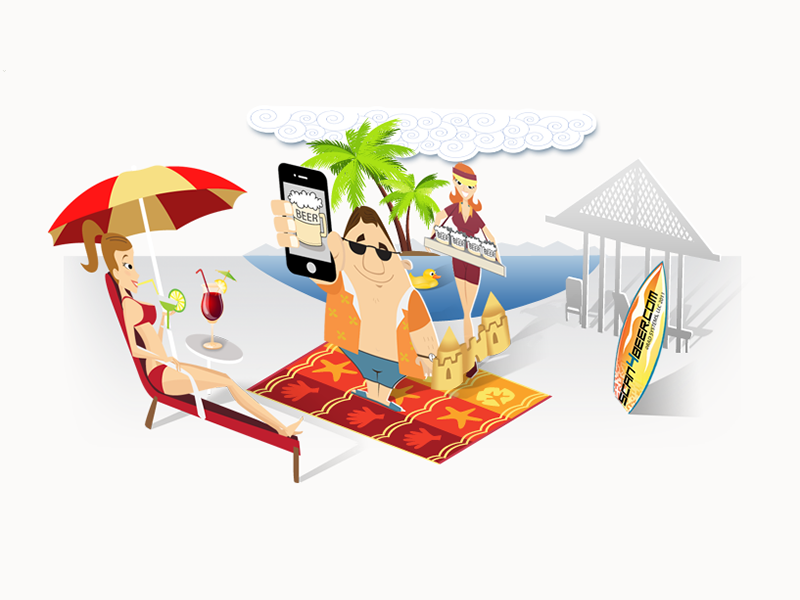 HappyTapp allows resort guests to order directly from poolside so they don't have to get up and disrupt their vacation!